What happens behind the closed doors of surgical wards, treatment rooms and other spaces where specialist medical consultations take place? 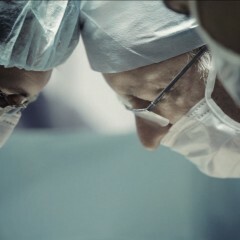 The film follows the everyday work of doctors in a surgical ward: the hierarchy between them, the need to take important decisions, the struggle with economic problems. There are jokes, insider moments, a working environment that is vital, and yet unknown.